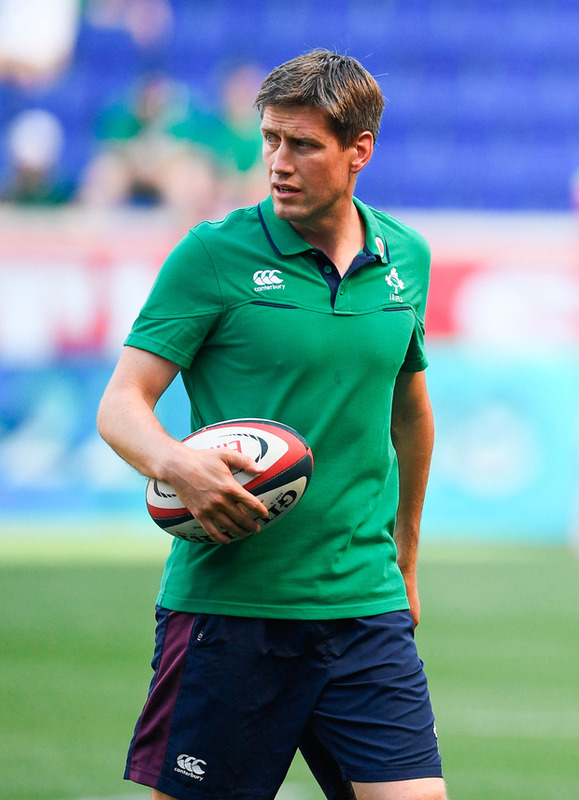 Alan Quinlan says Ronan O'Gara could form part of the next Ireland coaching ticket, after the former Munster fly-half penned a one-year deal to remain assistant coach of New Zealand side the Crusaders. The Ireland great has been part of a stellar defence of the Crusaders' Super Rugby crown, and the men in red and black are unbeaten in their last 10 games. O'Gara traveled to Brisbane to take in Ireland’s opening Test defeat last weekend, but a return to Europe is not on his radar right now. However, former Munster teammate Quinlan said O'Gara has impressed in New Zealand, and suggested a role with the national team may await on his return to Ireland. "I just kept thinking, Joe Schmidt leaves in 2019 and maybe you might see Ronan O'Gara coming back and being involved with Ireland," Quinlan told Off The Ball. "Joe likes him and keeps in touch with him. He brought him to America, he could be involved after that with Ireland anyway, I don't know. "The news coming out of there is they love him, he's moved in straight away since he's been there. The players have really taken to him. "I just think do another season there, if they win the Super Rugby title it'll be massive for him and if he comes back to Europe I think he'll be in high demand. "We need to get him back to Ireland though soon, just another year there and get him back in the Irish system because I think he's too good at this stage to have him away too long."